You may want to read the previous chapter on making an offer. If you really want the house and you’ve been flexible, persistent and creative enough to get the offer accepted, congratulations! Now you need to set about doing the work for fulfilling the subject clauses that you chose to include in your Contract of Purchase and Sale.These might include such clauses as financing, inspection, and sale of your own property. The amount of time you will have to complete these actions is specified in the contract and you must either remove your subjects by this date or forfeit the deal. Occasionally it happens where for one reason or another you are not able to satisfy all your subjects within the specified period of time, and your may request a subject removal extension. If this is amenable to the Seller then both parties will sign the addendum drawn up by your Realtor® and you will have until the new date to remove your subjects. Only the party who benefits from the condition needs to sign the subject removal. If for example all the subjects in the contract are "for the sole benefit of the Buyer" then only the Buyer needs to sign the subject removal. If any of the subjects are for the benefit of the Seller then their signature(s) will be required also. You should have your deposit in the form of Bank Draft ready for the day you are removing subjects. The amount of deposit will be specified in the contract and is typically no less than 5% of the purchase price. Your Realtor® will make a copy and give one to the Seller's Realtor® and it will then be deposited in your Realtor®'s Brokerage in trust until completion. 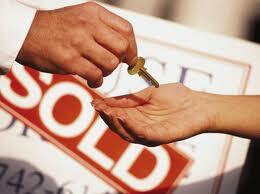 an appraisal fee to obtain the mortgage (often the bank you take your mortgage with will pay for the appraisal. To be entirely sure, check with your Lawyer or Notary which documents you must bring with you to the closing and … don’t forget to bring them.